TOMB RAIDER Fans! Answer these simple questions and stand a chance to win free movie tickets and merchandises including TOMB RAIDER T-Shirt, TOMB RAIDER Mobile Bike Holder and TOMB RAIDER Phone Wallet! Fill in and submit the google form. 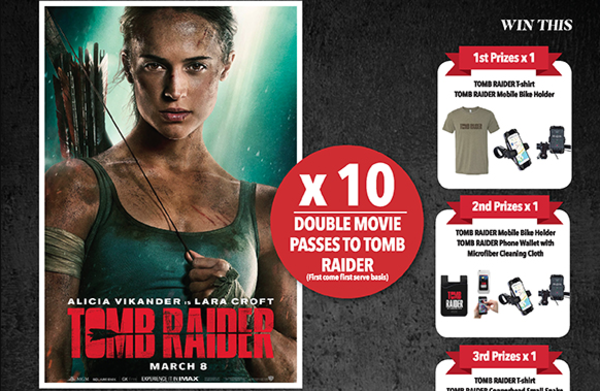 10x DOUBLE MOVIE PASS to TOMB RAIDER.